Photo from Roger Degner, Franklin Minnesota Via Peter, Buchanan. This european vise is rare in the U.S. Its unique mechanism lets the user adjust the jaws parallel by turning the wheel at the bottom with their foot. 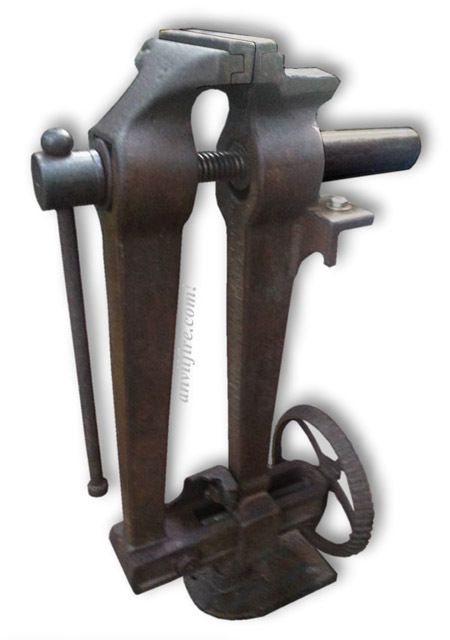 This vise has heavy replaceable jaw faces and a small anvil surface in the German style.